Sekiro: Shadow Die Twice offers you to play with a variety of weapons and items. As you continue the main story campaign, you get to collect new items and weapons. One of the finest weapons that is available in the game is Mortal Blade. As the game is still new so many players do not know how to get it. If you’re wondering where the Mortal Blade can be found, don’t worry. We will tell you. 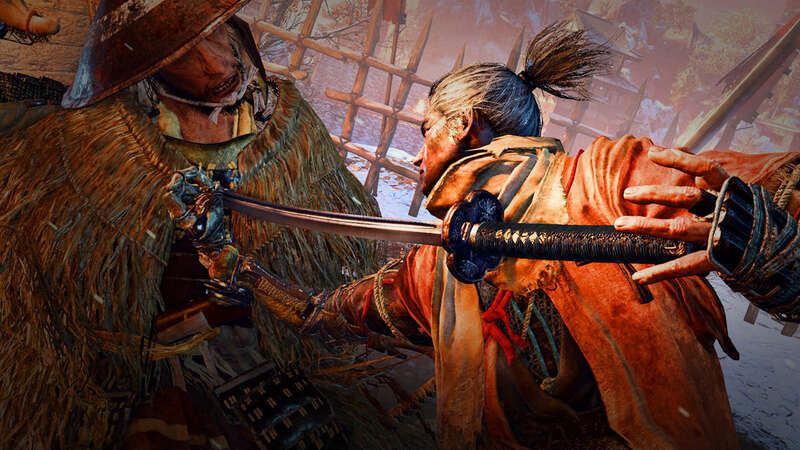 This article will tell you about all the information required to collect Mortal Blade in Sekiro: Shadow Die Twice. You first get clue about the Mortal Blade after your visit to Ashina Castle where you have to defeat the formidable Genichiro who is guarding the Castle Tower lookout. Players who want to acquire the blade must defeat Genichiro. After besting the beast, you will get a hint that Mortal Blade can be found near Senpou Temple. Senpou Temple is located on the path to Abandoned Dungeon. Simply head down to the Sculptro’s Idol in Ashina Castle and follow the path to Abandoned Dungeon. Before you start the quest for Mortal Blade, don’t forget to save your game progress by resting at Sculptor’s Idol. After saving the game, you can travel to the Hall of Illusions by ringing the bell on the desk. If you cannot find the desk, it is placed near the mighty statue. Getting the Mortal Blade won’t be easy. Players will have to go through the furious four known as Folding Screen Monkeys. Each of them will drop a puzzle for you. You can complete the puzzle by defeating all four of them. This puzzle will be used to open the Inner Sanctum. Your reward is in the Sanctum. Simply, get in there and speak to the Divine Chile of Rejuvenation. Now that you know how to get Mortal Blade in Sekiro: Shadow Die Twice, be sure to checkout some of our other guides below.